Yesterday we profiled Collin DeWaters, who at just 21 has multiple App Store titles and the experience of attending the last three years' WWDC events. 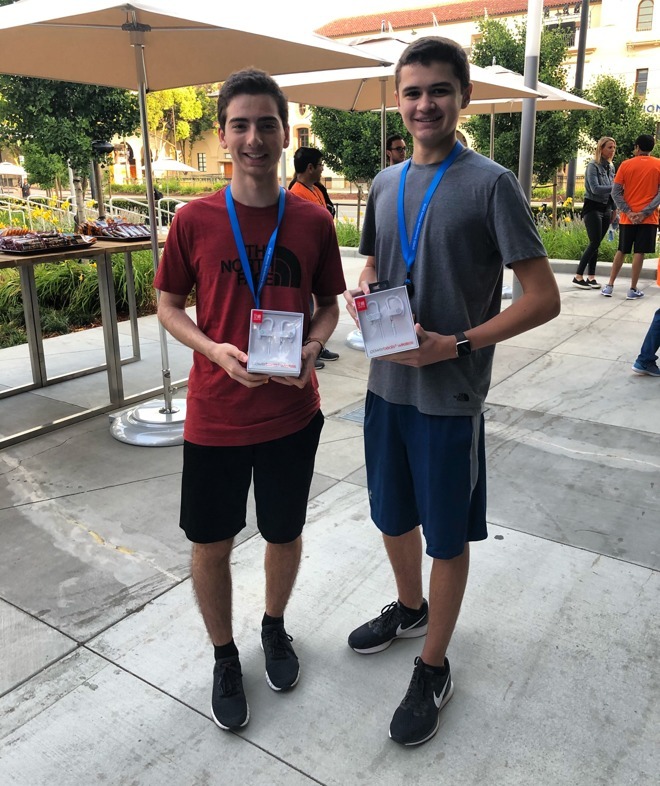 Today I reviewed conference experiences with two young men seeing WWDC for their first or second time: 16-year-old John Wahlig of Portland, Maine, here for the first time, and 17-year-old Nicholas Grana of Port Jefferson Station, Long Island, New York, who is back again after attending last year. Both participated in the Nike Run Club yesterday. Welcome to the real world John! Wahlig, currently a high school student, described his most recent project as an app designed for coaches and parents for use on the sidelines of athletic events. "Essentially, if a player has gotten hurt and has hit their head, the app allows for a quick diagnosis using tests based around pattern recognition and short-term memory recall to determine whether the player should seek further medical attention. These tests are all based on current neurological standards and were developed with the counsel of a brain surgeon." The title hasn't yet launched, pending some legal issues related to patents. He's now investigating legal options--a taste of the adult world, where having the tech and the talent is sometimes trumped by unforeseen developments and complications. That hasn't blunted his enthusiasm, however. He's also worked on a project that explores the possibilities for iPad to help kids with Down Syndrome and other learning disabilities. "My WWDC experience so far has been amazing," Wahlig stated. "It's my first time at the conference. My favorite part was the keynote, as there was so much energy during the event and many well-known executives gave speeches. It's one thing to watch on a computer at home, but another to actually be there at the keynote itself." He added that "the sessions have been very informative, and the labs have been great when I'm stuck on a problem. Today, I visited the Swift Open Hours lab and the UIKit & Performance lab." Wahlig is attending the WWDC Bash for the first time this evening--and already hopes to be back next year for WWDC19. Speaking of his own WWDC experience, Grana said, "I learned that the most valuable part is the labs. I have talked for hours to the Apple Engineers. Even at the scholarship orientation one of the Xcode engineers explained to me how Xcode is actually written using Xcode, and how the whole project is separated and managed in the team. "During the labs, I ask (maybe too many) questions about my own apps, like when a WatchConnectivity engineer drew a diagram of my app's life cycle to help me understand syncing data to the watch. I've had a giant list of questions in Notes that I am finally able to have answered, and it's amazing to ask questions directly to the people who make the software." Grana put his first title, Spin Zone, an addictive escape game built using SpriteKit, on the App Store last year. This year, he applied for a WWDC scholarship with Block Tower, a realistic 3D Jenga-like game using Augmented Reality to place pieces in the real world. He started the project last year, but for this year's submission, he added scanned images of real wooden blocks to add realistic textures to the pieces and created lighting effects and reflections. "I also used it to learn about some more advanced topics of SceneKit, like physics fields and particle systems, which you can see by the beginning animation." His second project is an ARKit app designed to model the solar system. As Grana explained, "In my AP Physics class (which was really difficult) a lot of my friends have trouble understanding abstract concepts. For example, many test questions deal with the relationships of planets, such as the effect of mass on the force of gravity, but it is really difficult to understand these concepts simply with formulas. "So I made an augmented reality app which lets students make their own solar system by placing suns, planets, and moons in the world. Then, they can use a slider to change the mass, distance, and size of each to see them update in real time. For example, increasing the distance of the planet by 4x will make the planet move 8x slower. This can be seen by the formula, which updates and recalculates as the slider increases, and the planet's movement in the world, which would slow down as it moves further away. "This app is not on the App Store currently, but it has been used in my class, helping students have a more concrete understanding of planetary motion instead of simply memorizing formulas and facts." 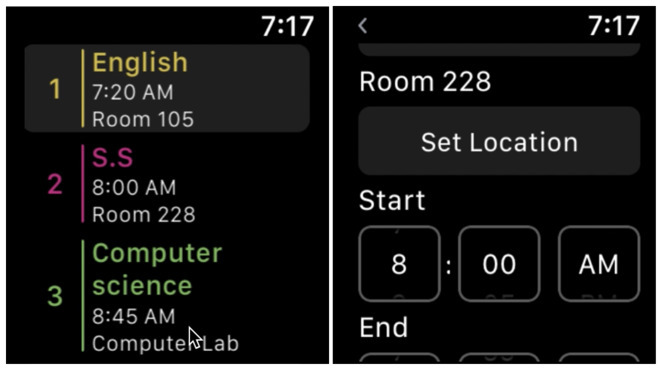 Grana is also working on a pair of iOS and Apple Watch apps with the working title of "Schoodule," a portmanteau of "schedule" and "school." "I created this app for myself last year," he said. The app "gives me a complication on my Apple Watch that tells me how much time is left in the class I'm in. "This is because in schools, clocks are sometimes questionably placed, missing or broken. And, during a pressured test, remembering and calculating the time left can easily break concentration and cause increased test anxiety. I have used this app for myself this whole year, and I noticed many other students (especially college students) have complex schedules. "Instead of having to study their schedule, having it on their wrist as a complication with time travel support can help dramatically. It lets students have a clear view of their day with a simple one-time setup without having to manually set up each class in a calendar app." "My goal for this app is to work for any type of schedule, from elementary school to college. It will work by adding classes and specifying behaviors of the class. The app will then break these classes up into separate schedules so more can be quickly added. 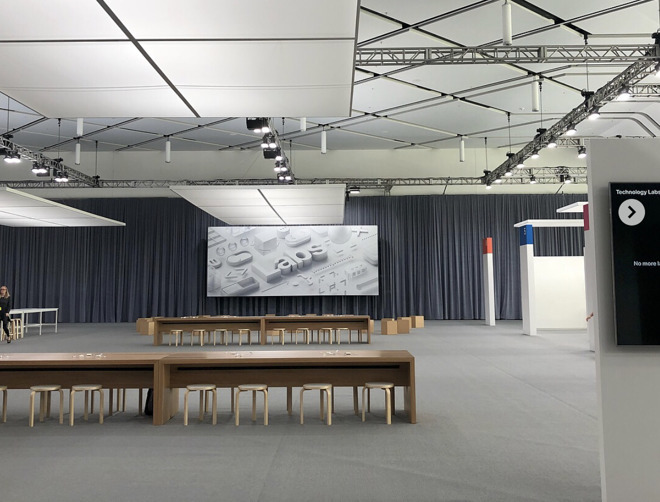 "There are other apps," Grana said, "but all of them are lacking features like an Apple Watch version, and they either have a very tedious setup or only support certain schedule types. Plus, I have other features I would like to add that are not seen in any other schedule apps, such as scanning a photo of a schedule [or connecting to widely-used educational apps such as PowerSchool] or even a spreadsheet and having it imported into the app automatically without any additional setup."